Learn the fundamental knowledge necessary for competent and efficacious use of essential oils and aromatherapy. Moving beyond a simple definition of individual oils, you will gain an understanding of the chemical composition of essential oils; holistic properties and contraindications; their impact on body systems and olfaction; and the relation to energy principles. The 20-hour seminar includes 17 hours of classroom experience and three to six hours of self-study. Classroom experience will include lecture, demonstration and hands-on practice. The instructor will supply the necessary materials, bases and oils (approx. $50 value). 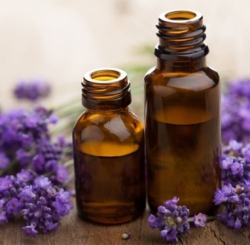 Complete this seminar and begin to use your new-found skills immediately, or continue your studies by completing the entire Aromatherapy & Essential Oils Certificate Program. Accurately define essential oils and aromatherapy. Describe the sense of smell and the effect of odor on the brain’s limbic system and how this relates to essential oil use for memory and emotion. Define genuine and authentic essential oils. Select essential oils according to their chemical makeup, properties and safety using the Structure-Effect Diagram. Select appropriate application and dosing for essential oil treatments following a review of eight application methods and four categories of dosing. Formulate with essential oils using the given equation for calculating drops used. Identify the chemistry, properties and use of at least 15 essential oils. Competently create a formula and blend of essential oils based on the learning objectives for this seminar. Use essential oils with awareness of state and federal regulations, individual scope of practice, confidentiality of client and ethics. This seminar has been designed for health care professionals; however, the general public is invited to attend as well. Note: It is recommended that you register at least 3 weeks prior to start of the seminar. It is recommended you allow 1 week prior to the start date to obtain the required text and complete the pre-class reading. Please Bring: Personal water bottle (filtered water dispensers available on campus to refill). Meals: Fri: 1/2 hour dinner break - Bring a sack dinner. Sat & Sun: One hour lunch break - Bring a sack lunch or eat in Bastyr’s dining commons. Dining Commons closes at 2:00pm weekends. Location: Bastyr University Kenmore Campus, Friday - Sun room #220. Room 220 is on the 2ndfloor of the south wing with "stair-only" access. Bastyr University is housed in an older facility with fluctuating interior temperatures; it is advisable to wear layers. Also, Bastyr is a “fragrance-free” campus. Jimm Harrison founded the Phytotherapy Institute in 1995 to advance education in essential oil and plant therapy. He was the first cosmetologist invited by Harvard University and MIT to discuss the impact of essential oils in skin care. Jimm has been conducting certification programs and lectures in essential oil therapy for massage, spa therapy, cosmetology and medical esthetic institutions across the country since 1993, including the Dana-Farber Cancer Institute, Harvard Medical School and Massachusetts College of Pharmacy. He is the author of Aromatherapy: Therapeutic Use of Essential Oils for Esthetics, and has developed natural/organic skin care products for the professional and retail markets. To learn more about this presenter, please visit his website at www.jimmharrison.com.